Finally some movement at that old 14U coffee shop located at 1939 14th St., NW. 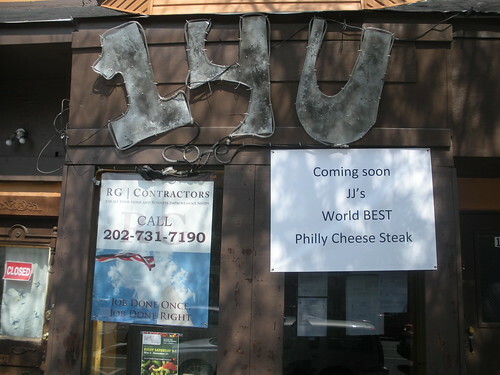 Back in May we learned it was going to become a cheese steak place. Now we know the name. Anyone ever hear of JJ’s? Is it an independent or a chain?